Tips2secure was established on 8th November 2014. It was founded by Suresh Kumar. Tips2secure aims to provide the best solution to bloggers to add income streams to their blogs. It helps new bloggers in their blogging career. Is there any charge for Tips2Secure readers? No, we do not charge anything from our readers. We are here to serve our readers, not with any purpose of profit maximization. Tips2secure is a team of Pro bloggers who publish posts on blogging guide, SEO tips, Techno guide and much more other stuff. 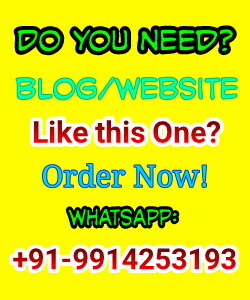 Our vision is to make aware masses of the world about blogging. How a blogger earn their living and luxurious lifestyle by writing and publishing articles. Generally, in developing countries where there is the lack of Computer and IT literacy, we want to educate them. Our mission is to help the people who are already in blogging or planning to start a blog. We will guide them, teach them, provide tutorials, online training, SEO techniques and moreover, all that tools and things they need to make their blogs successful. Hello guys, this is Suresh Kumar from Moga, Punjab, India. I am a 22-year-old guy and am pursuing my master degree in business administration (MBA). If I talk about my blogging journey and obstacles faced by me in detail then it will take a lot of time so I will discuss in short. When I was first jumped in the field of the internet to earn some money that time I had no laptop, no system… the only thing I had a simple phone of Spice M5252 Model (Without Java) but with internet connectivity. I started searching for the ideas to earn some money then somehow I came to know about blogging. But it was very tough for me to start a blog using that phone so I started using internet café’s but I had left that because I had no money to bear the costs of Internet cafe’s. I did some work to manage my costs and then I bought a new mobile phone and published my blog. But that blog did not perform well for me and then I tried many new opportunities and earned some money. It was the time when I was in 10+2, that time I had no hope to continue my studies after 10+2. But if have completed MBA and making 20 Times More than a Job I was dreaming then that all have happened just because of blogging. As the time passed, many ideas came in my mind and I decided to guide and deliver the tutorials to other people also, that is why Tips2secure was established. Thanks! Glad to have found your site! Thanks for your great appreciation. You are welcome and keep reading this blog to have more interesting and informative articles. Very nice Journey Suresh..........All the best for your future. I love this motivating story.